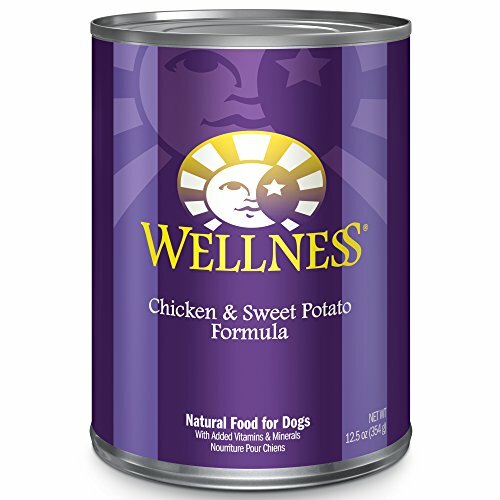 Wellness Complete Health Natural Wet Canned Dog Food, Chicken & Sweet Potato Recipe, is healthy, natural, protein-rich dog food for adult dogs made with carefully chosen, authentic ingredients for everyday health and provide an optimal balance of nutrient-rich whole foods to fulfill the unique health needs of your dog, providing whole-body nutritional support to promote complete health. 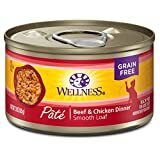 Wellness Complete Health Wet Canned Dog Food supports your dog's balanced natural nutrition all with natural and delicious ingredients to provide a guaranteed great taste that dogs love. 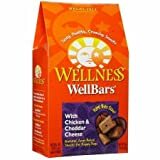 Wellness WellBars Natural Wheat Free Oven Baked Dog Treats are wholesome, all natural crunchy, bite-sized dog biscuits oven-baked to preserve the natural flavors in all the varieties dogs love to catch, chew and eat. Dog biscuits, treats and snacks are a great addition to a healthy diet. Snack time is a mutually rewarding show of love and positive reinforcement with your dog. You can feel good about training and rewarding your dog with Wellness natural dog treats.